Although it comes with cold weather, nasty roads and everything gets wet,, snow is so magical. It creates such a calming peace, when I can watch it from inside my warm house! It also makes a fun theme for learning activities for kids. 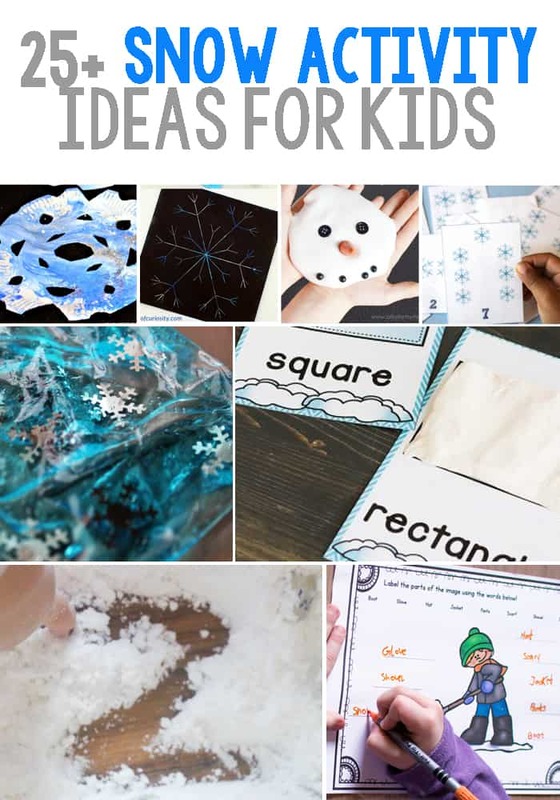 I am sharing some of my favorite Snowflake Theme Learning Activities for kids. I have included math, literacy, art & crafts, sensory and science. 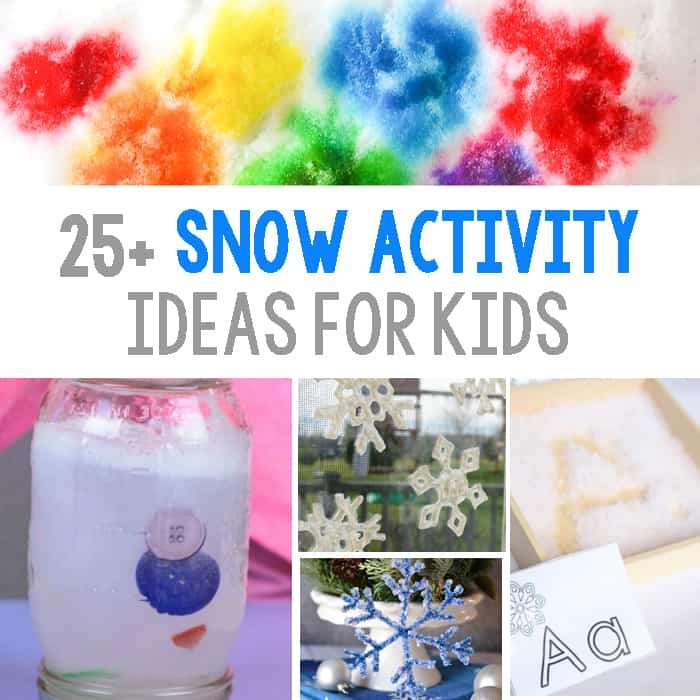 These are perfect for filling up a themed week or creating fun activities for a snow day. No grid was found for: Snowflake Activities Round Up 81221. This adorable snowman mat is perfect for helping kids with counting and one-to-one correspondence. It also doubles as an addition activity! These are the perfect snowflake flash cards for helping kids with counting, number recognition and more! Geoboards are a fantastic way for kids to explore geometry, length, angles and more. Plus using geoboards to make snowflakes is so much fun! This snowball activity is perfect for kids who are learning addition. Plus they are so adorable! Play dough is a classic! These winter play dough mats are fabulous for helping kids with the formation of numbers (and there are ABC mats too!). Do your kids like word searches? This printable is not only winter themed but the perfect challenge! Do your kids like having snow ball fights? Turn that winter fun into an indoor learning activity with this ABC Snow Ball Fight. This writing tray is perfectly inspired by a snowy day. Everything from the snowflake letter cards and the tray filled with snow. Kids will love this! This snowy sensory bin is perfect for practicing the alphabet! There are letters beads in the snow but the bin is also perfect for using as a writing tray! This printable is perfect for helping children learn new words, new spelling, build confidence on handwriting and of course labeling everything you need to go out in the snow! If you have an emergent reader, this snow set is perfect! This will help kids learn different words. This is also fantastic for children who are just learning to count! The snow doesn’t need much extra to be fun, but that doesn’t mean that it doesn’t make a perfect canvas for creating colorful art! Decorating for winter is one of our favorite things. Everything is sparkly and shiny like crystal and snow! These DIY Borax Snowflakes are the perfect winter craft for kids to help decorate for winter! Have you made snowflakes with your kids yet? This is a super fabulous way to make paper snowflakes that will last for years! This snow process art is so cool! Kids will enjoy so much bringing the snow inside and creating a masterpiece out of it! Did you know you can make your own window clings? Kids will love how windows can be decorated with their own creations! Whether you live in a place that doesn’t have snow or you’re just looking for a fun indoor snow activity, this frozen ooblek is sure to please! Another fabulous indoor snow activity is homemade snow. This recipe is easy and will lead to hours of fun! Slime is all the rage, are your kids obsessed? Turn a simple slime recipe into creating a snowman. I have no doubt kids will love it! This sensory bin is filled with ‘snow’ but is also perfect for exploring the arctic. Animals and nature life are so different from other parts of the world because of the need to keep warm. If play dough is more your thing, this super fun snow dough recipe is sure to please! This is the perfect snow day activity! Have you used sensory bags before? They are fun, mess free, and perfect for taking sensory on the go. This snow themed sensory bag is perfect for the winter! If you are out playing in the snow, you might as well track animals. This can be done super easily by tracking their ‘foot prints’. Kids can learn a lot from this hands on activity. Have you ever wondered how much of snow is actually made up of water? This snow science experiment can tell you exactly. So cool! Also, have you ever checked the temperature of snow? The result may surprise you! These science project is giving children the tools to create their own snowflakes. The printables are their guide but what they create is their own imagination. A blizzard is not something fun to be out in but it would be fun to create in the classroom! The best part is that it can be done with supplies you may already have! Baking soda and vinegar may be an experiment that you have done before but adding this snowy twist will make it even more exciting!